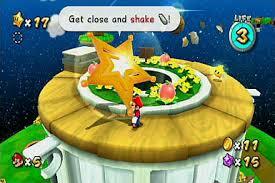 I am a bit of a gamer at heart, I love Mario and Zelda games the most. My kids and I enjoy sitting together on our days off and gaming out. Don't get me wrong 75% of my kids play time is outdoors, but when the weather is gross, we are sick or it has gotten dark out and we have time to kill there is always a bit of gaming time. I love our Wii mini. It was cheaper than regular Wii's with internet capabilities but I don't need that feature so the savings made sense. You can get second hand Wii's for next to nothing these days. Check Castanet if you live in the Okanagan. 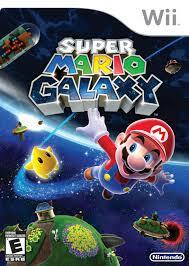 One of my favorite games of all time is Super Mario Galaxy 1 & 2. They are a blast to play for all ages. 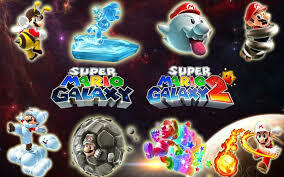 I love how unique the gameplay is, your in space collecting stars all over the galaxy. Since your storming around in space gravity is totally out of whack so you have fun figuring out the crazy controls while walking upside down and sideways on the walls and ceilings. 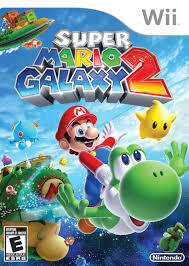 There is all kinds of neat transformations for Mario in Super Mario Galaxy 1 and then in Super Mario Galaxy 2 you get to have Yoshi and he gets to do the transforming and power ups. 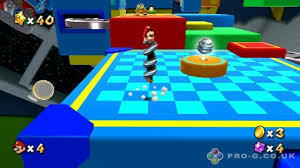 It is one of the funniest games I have played and I certainly hope Wii sticks around for a while longer.